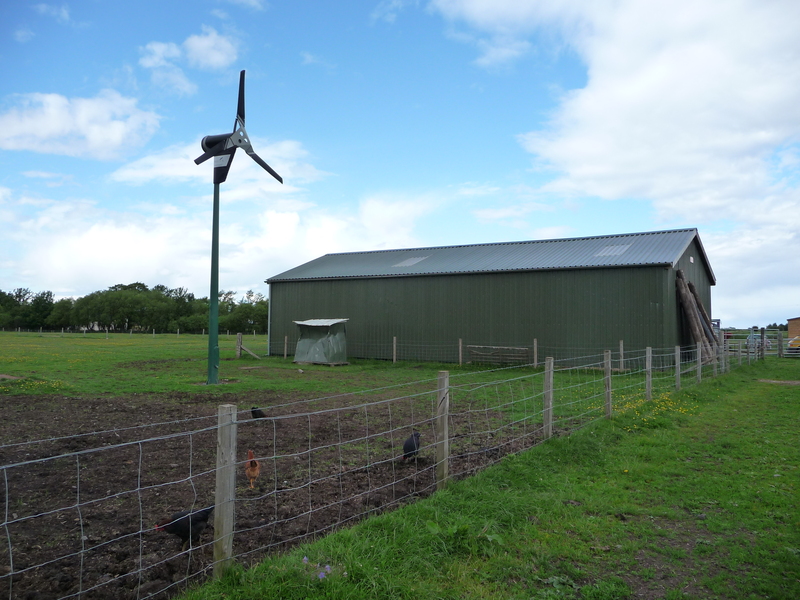 "...totally satisfied after the solar PV installation, which is why we came back again and again for a wind turbine and a heat pump!" Customer was keen to install a Solar PV system to cover some of their power use. This led to a further wind turbine installation and they even came back to us to design and fit a ground source heat pump when they extended the property, after decided they did not want to be reliant on their oil boiler. In total, they now have a 2.5kW Solar PV system, made up of Kyocera Modules, a 2.5kW Proven Energy Wind Turbine and a 8kW Danfoss DHP-H Heat pump. 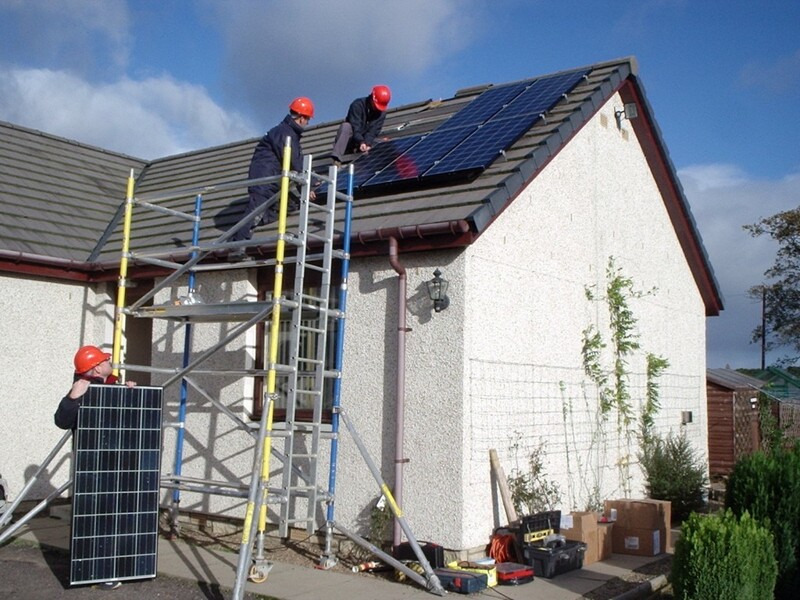 Solar and Wind Applications carried out the full installation of all technologies, with ground work for heat pump completed by the customer. Them carrying out this work saved on cost, and they were experienced in ground works already. The Solar PV system generates around 1,600kWh per year, Wind generates around 2,000kWh per year and the Heat pump saves around 18,400kWh worth of energy compared to a standard heating system. In total a saving of around 11,919kW CO2. 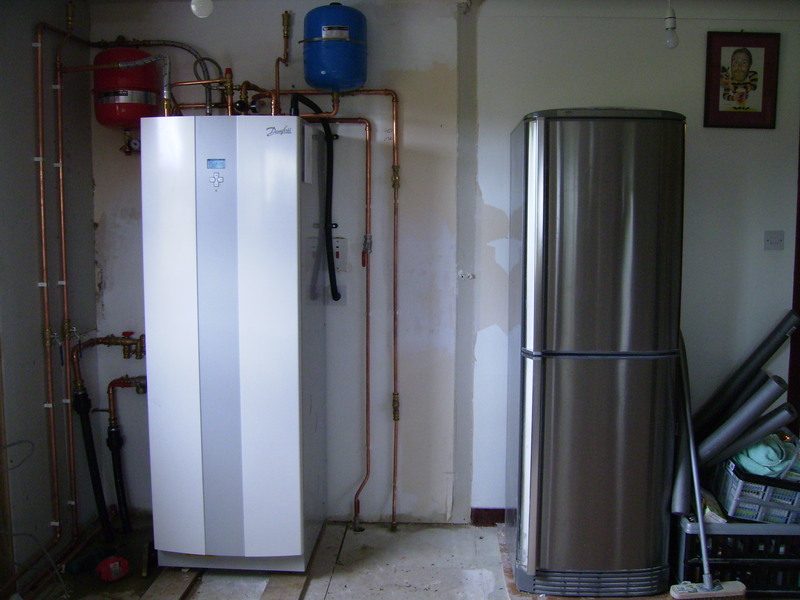 The heating system heating the whole home, and hot water, has replaced their costly and unreliable oil boiler. Generators will run the household appliances as well as the heat pump whilst it is running.